On Saturday, May 5, 2018 NASA launched the Mars InSight Lander to study the interior of Mars. This launch was the first to another planet from the West Coast. Nayah Sci Fi had the privilege to attend the NASA Social event before the launch to chat with the engineers and scientists on the mission team. We also had a chance to tour Vandenberg AFB and get an inside look on what it takes to successfully launch such an ambitious effort. In addition to all the great information and exposure to the science behind the Mars InSight lander, we met some fantastic people who attended the social. These folks came from all over the United States and represented diverse backgrounds in such fields as sports, law, education, entertainment, and technology. Here are a few voices we captured to give you an idea of the impact of this NASA social event, with the hope you’ll attend one. Note: Special shout out to Stephanie, Kaitlyn and Ryan with the NASA Social team. Thanks for a memorable experience!! Wife of NBA player, Chris Bosh, talks about how she and her husband encourage their children to explore science and technology in their everyday lives. Author of debut sci-fi novel, Cloud 9 (June 2018), talks about his experience at the NASA Mars Insight Lander Social. Public defender from Philadelphia, PA., talks about the wonder of space exploration and how it inspires people from all walks of life. Space enthusiast who loves fantasy, politics, fiction, and poetry. She expresses her desire to share her experiences from the social to inspire kids and adults to study science. Two time NBA champion and eleven time NBA All-Star talks about the relationship between athleticism and science/technology, how he encourages his children to embrace science/technology. and his Team Tomorrow foundation initiatives. 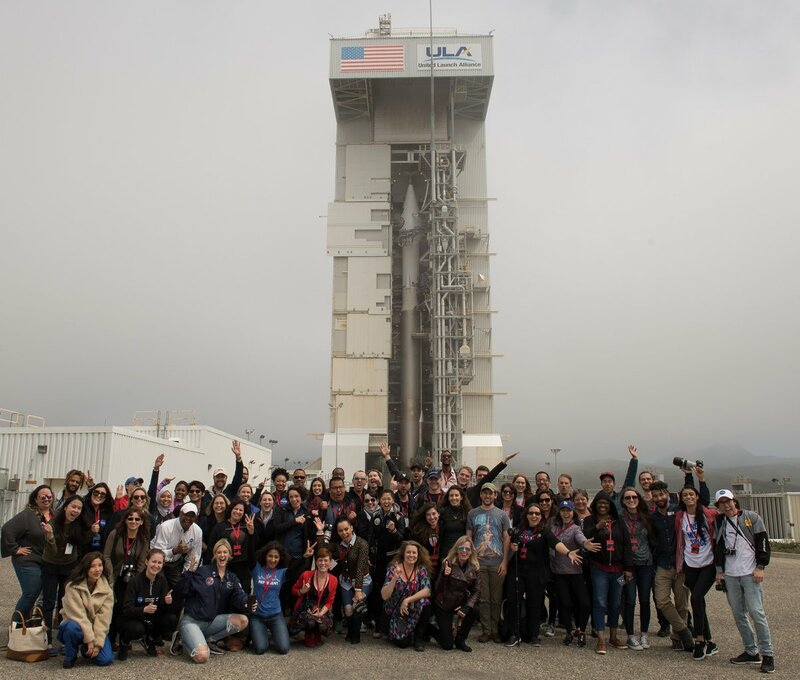 Digital marketer who’s a self-described ‘NASA fangirl’ talks about her excitement to learn more about science exploration and her desire for kids and adults to learn and be excited about space.